Want to sell your car but don’t have the time? 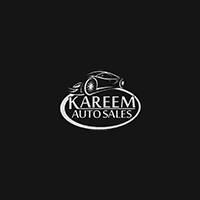 One of the easiest ways to purchase a used car from Kareem Auto Sales Inc is to trade one in. You may be wondering, “How do I trade-in my car?” With Kareem Auto Sales Inc, it’s simple! Below, you’ll find three headache-free steps to selling your trade-in car near Elk Grove. Use Kareem Auto Sales Inc’s value your trade-in car tool to figure out how much your current car’s worth. All you need to do is input your car’s year, make, and model, as well as your contact information. If you’d like, you can upload interior and exterior photos, so we can provide a more accurate estimate. You can also cross-reference values with other tools, such as Kelley Blue Book® Value. Before you find a buyer, you’ll need to get your car appraised. You have a couple options here; you can schedule a visit at CarMax and/or with Kareem Auto Sales Inc. If you live in San Francisco, you can take your car to the CarMax in Colma or Pleasanton. There, your car will receive a full inspection that’s valid for a week. If you bring your car to Kareem Auto Sales Inc near Roseville, we’ll inspect it and let you know whether we can sell it as part of our pre-owned inventory. When you visit us, don’t forget to bring any trade-in offers you’ve received from CarMax or otherwise. CarMax doesn’t negotiate on their offers. Many dealers near Folsom are willing to negotiate on the price of cars to some degree. Are you upside down on your car loans? If so, a dealership will be more willing to work with you. CarMax will expect the difference between what’s owed on your auto loan and the car’s value. Thinking about getting gap insurance for your next car? Consult our helpful guide to learn more about what gap insurance covers. Learn More About the Trade-In Process with Kareem Auto Sales Inc in Sacramento! Do you have more questions about how to buy a car with a trade-in? Contact Kareem Auto Sales Inc to for additional information, or visit us near Rancho Cordova and Roklin. We’re available every day of the week! After we help you sell your current car, we’ll introduce you to our selection of under $10K and under $5K vehicles.